It was always going to take someone spectacular to replace Youssef Msakni. 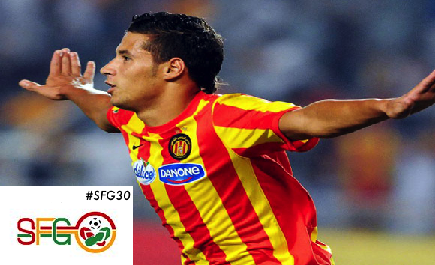 Esperance de Tunis had cultivated a local gem who guided them to two straight African Champions League titles. In Tunis, Msakni elevated to dizzying heights on the continental and international stage. The Arab media regurgitated transfer rumours to Paris Saint-Germain, Bayern Munich, and Arsenal FC. Msakni followed the money and moved to Lekhwiya, gifting his former club a generous 8 million Euros to find a replacement. But, to much surprise, Le Sang et Or didn’t make movements in the transfer window, preferring to place their faith firmly in an untested Algerian youngster: Youcef Belaili. Until then, Belaili had impressed in the Algerian domestic league and for the Algerian Olympic National Team. He had undoubted technique and dribbling ability, but in North Africa, a technical playmaker is a dime a dozen. The Youcef Belaili of Esperance de Tunis is an entirely different animal. Not only did he grow in confidence and ability, but he had also hit a physical growth spurt. In fact, Belaili has become one of the quickest and strongest players on the ball in the Tunisian Botola. He also developed a vicious free-kick, a notable improvement which is the sign of a positive attitude. Belaili is just about at the level where he’ll need to transfer out of Europe to continue his progression. He has just about outgrown the Tunisian league, but his dominance in North Africa has still gone unrewarded. As of 2014, Belaili is yet to win a senior cap for Algeria. Granted, there are a plethora of elite players that play in the same position as he. The Oran native finds himself buried beneath the likes of Sofiane Feghouli, Yacine Brahimi, Foued Kadir, Abdelmoumene Djabou and Ryad Boudebouz. To force his way into Vahid Halilhodzic’s plans, Youcef Belaili will probably have to play in Europe. To his credit, Belaili’s performances in the CAF Champions League have attracted the predatory eyes of a few Ligue 1 clubs. Montpellier and Roland Courbis have eyed him up as a replacement for Remy Cabella. Nantes also fancy Belaili to add to the litter of attacking midfielders they employ. Belaili did admit to being open to a move across the Mediterranean Basin; wherever he goes, he will need to further develop his impressive albeit raw skills to become the top player he’s been touted to be.